Pioneer India has introduced its new Universal Sound Processor DEQ-S1000A into the Indian market with which the users can optimize the sound quality and clarity of their factory fitted audio systems. Compatible with Android and iOS, the 48-bit DEQ-S1000A can be easily controlled by Pioneer’s Sound Tune app. One can personalize the sound tuning of the sound processor through the simple user interface of Pioneer Sound Tune app, which also offers features like 31 BAND Equalizer, Time alignment, 3-Way network mode, Crossover settings, Super “Todoroki” Sound, and Live simulation. The high-performance of 48-bit dual-core DSP for refined quality sound reproduction makes Pioneer’s DEQ-S1000A a prime choice amongst the car owners. It creates an ambience of a concert or café in a car through the live simulation feature and gives the passengers a truly immersive entertainment experience. Pioneer’s universal sound processor DEQ-S1000A is matte black in colour and compact in size making the complete process of installation simple and easy. Designed giving prominence to the preferences and space availability in a car, it does not require much space as it can conveniently be put in the glove box or under the front passenger seat. 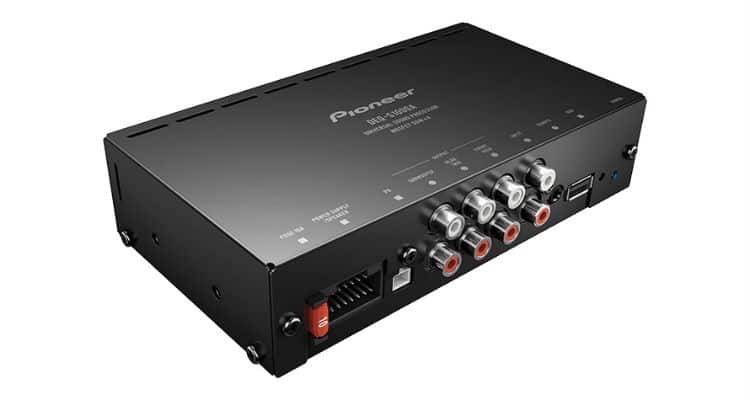 It can be purchased from any dealer authorized by Pioneer at Rs. 12,750/-.